St Marie’s Timeline – Can You Contribute? Halton & St Helens VCA would like to offer local people the chance to contribute to a new heritage display that will be housed inside the soon to be re-opened St Marie’s on Lugsdale Road. St Marie’s , which closed as a church in January 2007, will have a dual role in the future; as office space for Halton & St Helens VCA and as a heritage centre (which pays tribute to the heritage of the building and the role it played in the lives of local people). The display in question will be a large Timeline and local people’s photographs and written memories will be posted upon it at the appropriate places. St Marie’s will also be the venue for heritage talks from special guests and regular tours of the redeveloped building will be offered for people who are keen to visit it once more. Alternatively, you can visit St Marie’s and one of the Halton & St Helens VCA staff team will very carefully scan your photo or document and then let you have it back. You’ll be able to then revisit St Marie’s in mid September and see your contribution to the display in person. 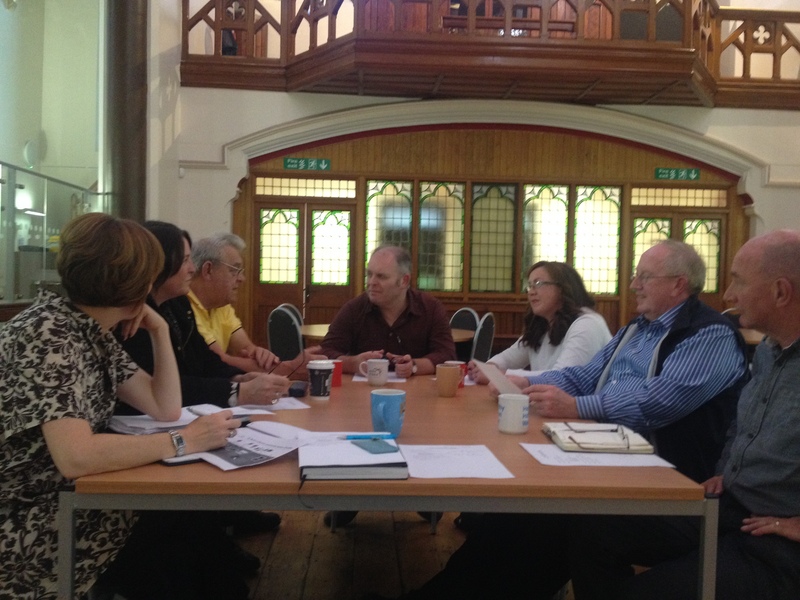 The St Marie’s Heritage Group discuss ideas for displays inside St Marie’s. Please submit your contributions before 5pm on Friday 29th August.